Needed more opportunities for this from the beginning. Emotions continued to run high Thursday as residents offered both condemnation and support of Houston ISD Board of Trustees President Rhonda Skillern-Jones, whose leadership has been questioned following a raucous board meeting last month that ended with two arrests. With about 300 people in attendance, dozens of residents demanded trustees take steps to restore trust with the community – with many calling for the removal of Skillern-Jones from her presidency – while a smaller contingent rose to back Skillern-Jones’ leadership. Unlike the board’s meeting on April 24, there was no skirmish between members of the public and HISD police during Thursday’s six-hour meeting. HISD’s meeting in April drew national attention after police made the arrests and temporarily removed all members of the public, with some resisting officers. The scuffle came after Skillern-Jones ordered the room cleared when attendees continued to make noise during public comment after she warned them to remain quiet. The two arrested were released the next day and not charged. Community members were given more latitude Thursday to respond as about 100 speakers began addressing trustees, with Skillern-Jones issuing no warnings about noise. One speaker pointed at trustees, calling each a “coward.” Another wore a shirt declaring “Not Afraid of Rhonda.” Several speakers told trustees that members of the public have been unfairly targeted for their activism, demanding better treatment from the board and police. At the risk of setting the bar low, no skirmishes seems like a good place to start. Whether this will cause more trustees to get on the “the board needs a new President” train remains to be seen. It may be that if HISD does get an accountability waiver from the TEA that the pressure is reduced, but if that’s the case then surely there will be no way to avoid a shakeup if there is no waiver. In the meantime, I’d suggest the Board have more meetings where the people who attend can feel like they’ve been listened to. The Press has more. Tabled for now, but likely not for long. 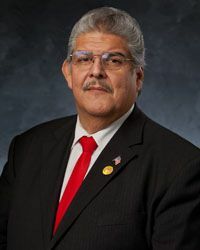 Houston ISD trustees on Thursday opted not to appoint an interim superintendent at a school board meeting, leaving it unclear who will run the district after Superintendent Richard Carranza’s anticipated departure later this month. Board members did not discuss potential candidates or options for moving forward during closed or open session Thursday because one trustee was absent. They are expected to consider options for appointing a temporary district leader at a March 22 meeting. Trustees faced a relatively subdued crowd given Carranza’s abrupt announcement Monday that he plans to leave the district after 18 months to become chancellor of New York City public schools. They never referred to Carranza by name during the meeting or commented at length about his decision to leave, making only glancing references to his departure. Skillern-Jones said board members discussed some legal matters surrounding Carranza’s departure during closed session, including their ability to re-hire the search firm that helped them land Carranza, who formerly presided over San Francisco Unified School District. Trustees expect they will be able to use the search firm, Hazard, Young, Attea & Associates, free of charge because Carranza remained in HISD for less than two years. See here for the background. The main question, as outlined in this this earlier story, is whether to “name a short-term interim superintendent and immediately begin a search for a more permanent replacement; name a long-term interim superintendent and postpone a superintendent search for a couple months; or post the position and hire a new permanent superintendent immediately”. I assume the third choice is basically a promotion from within the existing HISD hierarchy, while the other two would be a national search. The indication that the board could re-use the search firm that recommended Carranza suggests the board may be leaning towards one of those options. There’s a case to be made for hiring someone local – as one person in the story suggests, a local person may be less likely to be wooed away. I don’t know that I buy that – there isn’t a long history of HISD superintendents being poached, and the non-local Terry Grier stayed through the end of his contract – but it’s a point to debate. All I really care about is that they find someone who is up to the job. I missed this when it first appeared. 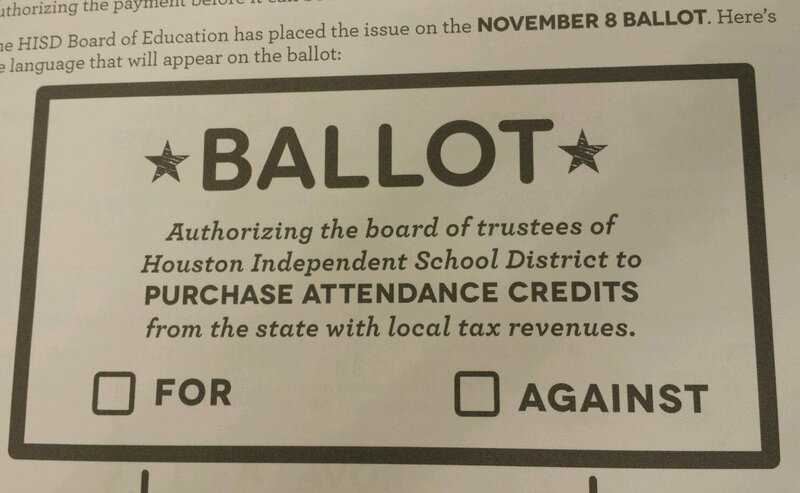 Three Houston school board members on Thursday evening publicly urged voters to oppose a measure that would authorize the district to forfeit $162 million to the state. Trustees Jolanda Jones, Harvin Moore and Rhonda Skillern-Jones went on the offensive at the live-streamed board meeting, asking voters to join them in voting “no” on the Nov. 8 ballot measure required under the state’s school-finance system. The board members are taking a gamble, calling on state lawmakers to revamp the funding system to relieve the Houston Independent School District when the Legislature reconvenes in January. “We are King Kong in this state,” Jones said, noting that the Houston school system is the largest district in Texas and should have influence. Here’s the rub: If the ballot measure fails and the education commissioner detaches property from HISD — an unprecedented move — the district will not be able to tax those properties to fund the repayment of debt. And the district has significant debt, including the ongoing $1.9 billion construction bond program approved by voters in 2012. The district overall cannot take a position on the measure. However, it has launched an educational campaign, focused on the confusing state-mandated ballot language that will ask voters whether they approve purchasing attendance credits from the state. 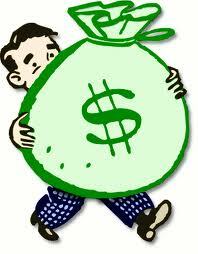 A “yes” vote to the credits means the district sends the $162 million. If the funding system does not change, the Houston school district estimates that its “recapture” payment will rise to $257 million in 2017-18, $308 million in 2018-19 and $386 million the following year. See here for the background. As the story notes, former HISD board member and current “education czar” for Mayor Turner Juliet Stipeche is also opposed to the referendum. I get where they’re coming from, and the escalating recapture payments are daunting, if not crippling. There is definitely an urgency in trying to get the Legislature to do something to avert the problem, or at least to mitigate it. The problem is that there’s no sign that the Legislature, or Greg Abbott and Dan Patrick, have any interest in lifting a finger for HISD. Indeed, it’s quite clear that at least on the Senate side, all the energy in 2017 is going to be on making things worse for public education in general. I get the idea, and I don’t think approving the issue does any good. I’m just not sure that defeating it isn’t worse, even if it does have the potential for an upside. See here for the official HISD page on recapture. What do you think about this? The new campuses to be renamed, joining four others approved on split votes in January, are Albert Sidney Johnston and Sidney Lanier middle schools and Jefferson Davis High School. Johnston was a high-ranking Confederate general, Lanier was a Confederate soldier and poet, and Davis was president of the Confederacy. Nearly all the votes were along racial lines, with the black and Hispanic board members voting in favor of the name changes. Committees at each school now are charged with proposing new names by May. Supportive of the changes, James Douglas, president of the NAACP of Houston, told the school board about a recent conversation he had with a younger African-American about the Confederacy and the naming debate. A few dozen speakers – parents, students and community members – expressed mixed views. Some agreed the names sent the wrong message, while those supportive of keeping Lanier’s name said he was a young, low-level soldier who redeemed himself as a writer. Others questioned the price tag as the district faces a projected $107 million budget shortfall. Renaming all eight campuses – Reagan High School is expected to come before the board again – would cost an estimated $2 million, based on district figures. “I’ll take dignity over dollars,” said trustee Rhonda Skillern-Jones, who led the effort last year to change the district’s policy to allow the board to order renaming. The move followed the shooting deaths last June at a historic black church in Charleston, S.C.
1. As I’ve said before, having something named after you – school, street, park, whatever – is a privilege, not a right. Names may change to reflect changing sentiments, populations, priorities, something else. Having something renamed doesn’t necessarily mean we no longer like or approve of the person for whom it had been named before. It may just mean it was time for a change. 2. That said, I have zero sympathy for anyone associated with the Confederacy. Maybe it’s just the Yankee in me, but people who took up arms against the United States are in no way worthy of honor. Renaming a school that had borne the moniker of a Confederate figure doesn’t mean we’re “burying” our history – frankly, the discussion we’ve had this past year about who we have named various things after and why those names were chosen, especially at that time, has been more illuminating of our history than any class I’ve ever taken – it means we’re renaming a school. 3. And having said that, I do have sympathy for those who have tried to draw a distinction between the likes of Sidney Lanier, who was a soldier but not a leader in the Confederacy and who came to be known for much more than his time in the Confederate army, and the likes of Jefferson Davis and Robert E. Lee. Perhaps part of the issue here is that the discussion we haven’t had is what our standards are for naming (in this case) schools after various figures, and what the disqualifying factors may be. Among other things, that may force us to come to terms with other people who have highly questionable legacies but were not a part of this discussion, such as Mirabeau Lamar. I doubt there’s an objective standard that we could use, and even if there were I’m sure there would still be cases that would generate controversy, but this would at least address the criticism that the HISD Board has acted in a haphazard manner. There may be more to come at a later date. The five-trustee majority also voted to rename Henry Grady, Richard Dowling and Thomas “Stonewall” Jackson middle schools and Robert E. Lee High School. Now, a committee at each school, including a teacher, student, parent and alumnus, will be charged with proposing a new name to the district administration. The policy then calls for the superintendent to make recommendations to the board for a vote – expected to take place in May, according to the meeting agenda. [Outgoing Board President Rhonda] Skillern-Jones had included eight schools on the renaming list, but trustees agreed to remove four – Lanier and Johnston middle schools and Davis and Reagan high schools – to allow for more discussion. [New Trustee Jolanda] Jones, who represents Lanier, posted Wednesday on Twitter that she supported changing the school’s name. However, on Thursday she proposed removing the campus from the immediate renaming list to host a meeting at the school. Numerous parents and students from Lanier dressed in the school’s purple color and urged the board to keep the name. Sidney Lanier, they said, is better known as a poet than as a soldier in the Confederate army. Trustee Harvin Moore tried to postpone the renaming item “indefinitely,” but it failed on a 4-5 vote. He and Eastman said their votes on the board-driven items were not statements on the merits but on the process. 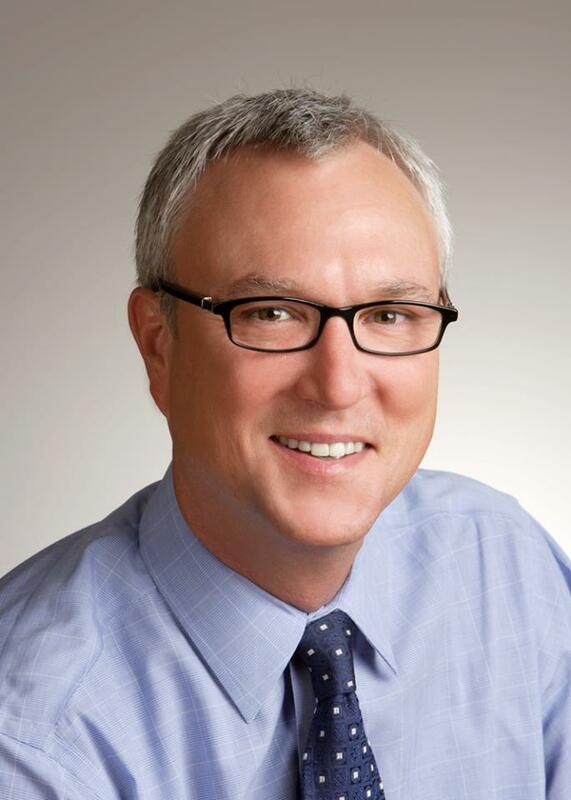 “I don’t think my vote represents pro-celebration of the Confederacy at all,” Eastman said. Skillern-Jones backed the idea of renaming schools after the shooting deaths of nine black church worshippers in Charleston, S.C.
Skillern-Jones, who is black, said later that her colleagues should not have been surprised that she packed the agenda. 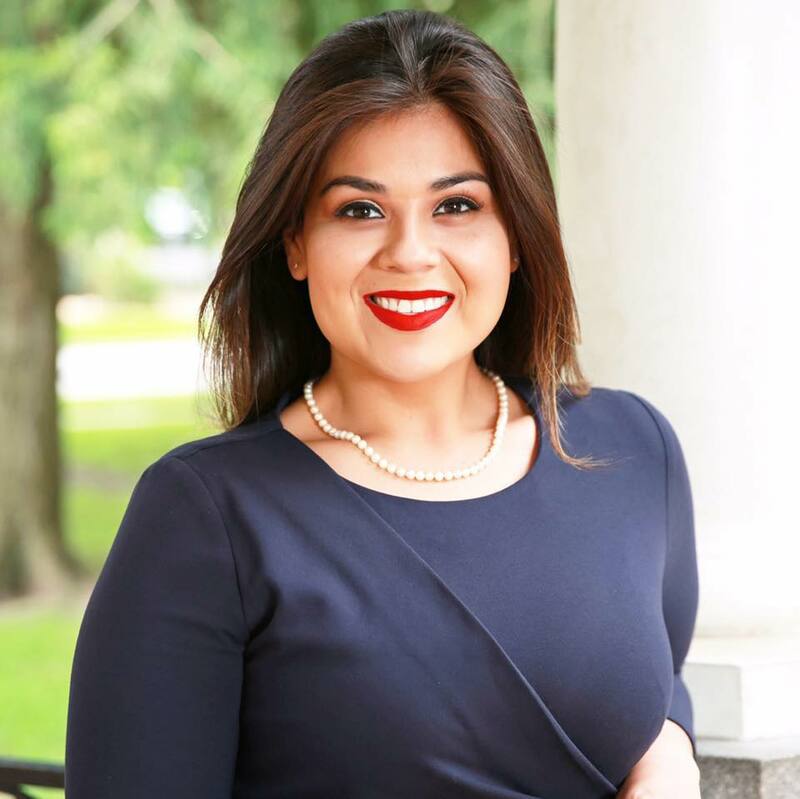 “I decided to stop listening to all the reasons why we can kick the can down the road and become more proactive about stopping that inequity that has persisted in this district since I came here in kindergarten,” she said. See here, here, and here for some background. Skillern-Jones discussed her plans to push this issue in the interview she did with me last year; she described it as something she was proud to do. The specific list of schools to be renamed generated a lot of discussion, mostly having to do with Sidney Lanier. Texas Monthly wrote a piece sympathetic to Lanier, mostly expressing the viewpoint of former Lanier teacher and champion debate coach Jim Henley. Henley and Mike Bordelon, writing in Gray Matters, expanded on that. Andrea Greer pushed back. I support the overall move to rename these schools, though I’m still thinking about the Lanier case, but I will note two things. One, having a school named for oneself is a privilege, not a right. Two, however one feels about the particulars, having this discussion has been a very good thing. I’ve sure learned a lot from it. It’s easy to go through life without giving much if any thought as to why certain places are named the way they are, and what those names may mean to people. I know this because I’ve done it. Talking about these names, and hearing about what others think about them, has been enlightening, to say the least. If this conversation and the possibility of changing some names makes anyone uncomfortable or upset, consider that not talking about it and leaving things as they are because no one is interested in talking about it also makes people uncomfortable and upset. The Press has more. There are other races on the ballot this Saturday. Rhonda Skillern-Jones, the board president, faces pastor Larry Williams in the District 2 race to represent north Houston. In southeast Houston’s District 3, Jose Leal, a former HISD administrator, is challenging Manuel Rodriguez Jr., the board’s first vice president. The contests have the potential to shake up a board that will see at least two new faces in January. District 4 trustee Paula Harris did not seek re-election, and District 8 trustee Juliet Stipeche lost in the November general election to Diana Davila, a former board member. Political consultant Marc Campos said he doubts Skillern-Jones and Rodriguez are at serious risk, even though the other incumbent on the November ballot was ousted and they both failed to garner more than 50 percent of the vote to win outright. Leal, a political novice, mostly funded his own campaign with no major endorsements. For the runoff, he has secured the backing of the Houston Federation of Teachers union and the Texas Organizing Project, an advocacy group for the poor. The union hopes a victory by Leal will ensure enough votes on the board to overhaul the Houston Independent School District’s bonus program and teacher evaluation system. Both hold teachers accountable for students’ test scores using a statistical formula. Leal said he, like the union, opposes the formula. “You have people that are not teachers, and they’re writing an equation that does not make sense to the people that are teaching,” he said. However, Leal said, he thinks test scores can be useful. For example, he said, when he was a school counselor, he would review the results and schedule teachers who were strongest in certain subjects to work with struggling students. Leal, 57, started in HISD as a janitor and retired in 2011 as a dean at Johnston Middle School. He now works as an assistant principal for the Houston Can Academies charter school. Here’s the interview I did with Rhonda Skillern-Jones; she’s the only one of the four I talked to, though I did interview Rodriguez in 2011. Jose Leal’s webpage is here and Larry Williams’ is here. I tend to agree with Campos that both incumbents are good bets to win, though Leal has picked up some support and may give Rodriguez a run for his money. 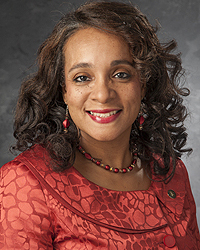 Skillern-Jones ran unopposed for the then-open seat in District II (this is a point of contention in this race; Williams had previously run against the prior Trustee, Carol Mims Galloway) so this is her first real race. If you live in one of these districts, what if anything are you seeing in the runoffs? Little late in the game for this sort of thing, but better late than never. With Superintendent Terry Grier leaving in March, the HISD board faces a big decision in choosing his replacement. Voters can help to determine who makes that decision, with four of nine trustee seats on the Nov. 3 ballot. At least one trustee will be new, as Paula Harris is not seeking re-election. Yet some familiar faces – a former trustee, a past city councilwoman and three repeat candidates – are vying to help govern the nation’s seventh-largest school district. Grier, by announcing in September that he would resign six months later, removed his future in the district as the top campaign issue. However, his rapid rollout of programs and high staff turnover loom on the trail with candidates calling for more stability in the Houston Independent School District. HISD’s reliance on student test scores to award bonuses and to evaluate teachers also could be at risk. Several candidates said they oppose the statistical measure used in both, and the board’s decision last week to continue the $10 million bonus program was narrowly split – a 5-4 vote. At a recent forum sponsored by the research and advocacy group Children at Risk, chief executive Bob Sanborn noted that HISD won the top prize for urban school districts under Grier and asked whether the candidates would rehire him if they could. None of the candidates in attendance said they would do so. You can see the interviews I did with several of the candidates here. I asked all of them if they would vote to give Grier a new contract or not – all these interviews were done before Grier announced his intent to step down – and with the exception of Rhonda Skillern-Jones, who declined to discuss the matter, they all said No. If I’d have known that Grier was not coming back, I would have asked what qualities they were looking for in a new Superintendent. That’s the question, and the challenge, for the next Board. Here are the Chron endorsements for HISD Board of Trustees. The endorsements of incumbents Rhonda Skillern-Jones and Juliet Stipeche were expected and easily justified, so not particularly remarkable. The other two are worth comment. Our choice for this important position, Manuel Rodriguez, was first elected in 2003 and then re-elected in 2007. His school district in East Houston includes Milby and Cesar E. Chavez high schools. A Stephen F. Austin High School graduate, Rodriguez has been involved for more than 30 years in HISD schools and knows the district well. Even so, longtime district observers say his aloof style and lack of consistent physical presence in District III make it difficult to ascertain where he stands on issues. Ideally, members of the HISD community should make the effort to attend school board meetings, but they also have every right to expect school board members to take the initiative to disseminate important information to the communities they represent. Rodriguez’s challengers, Ramiro Fonseca and Jose Leal, bring a refreshing passion to the race. Still, Rodriguez appears more knowledgeable on the issues and better able than his opponents to respond to the challenges that HISD is facing at this time. Our advice to Rodriguez: Don’t take this position for granted. Our advice to the challengers: Participate in district issues and run again. Voters should cast their ballots for Ann R. McCoy, a research director at the University of Houston, to fill this seat being vacated by Paula Harris. The area she would represent includes Debakey, Sterling and Yates high schools. A graduate of Bellaire High School, McCoy went on to earn a doctorate in counseling and a post-doctorate in mental health research. McCoy has spent her career evaluating the effectiveness of educational programs, and the board stands to gain muchfrom her analytical skills. She has also taught in area universities. During a District IV candidates’ meeting with the Chronicle editorial board, McCoy displayed the thoughtful and deliberative approach that is needed to tackle the issues facing the district. Her deep experience in education and collaborative temperament earn our endorsement over her opponents: attorney and former City Councilwoman Jolanda Jones, retired HISD principal Davetta Mills Daniels, and community activist Larry McKinzie. The Rodriguez endorsement…I mean, look, if you really think he’s the best candidate, then fine. I disagree, but whatever. What I can’t understand is how you can not mention at all the endorsement that was retracted in 2011 after a bunch of homophobic mailers attacking Ramiro Fonseca were sent out, which Rodriguez shrugged at. It’s part of his record, and with Fonseca running again it’s a pretty important part. How do you not even mention it? As for District IV, I predicted the McCoy endorsement – I was three for four in this group – so no surprise here. Honestly, I think both McCoy and Jolanda Jones would make good trustees, they’d just make very different trustees. Pick the style you prefer and go from there. 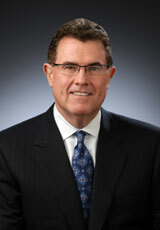 The HISD Board of Trustees is still deciding how to proceed in the wake of Superintendent Terry Grier’s resignation. Trustee Anna Eastman said after [Tuesday’s board] meeting that she continues to have a lot of questions about how the job-order contracts have been administered. Among other things the audit showed that the district’s Construction and Facilities Service Department wasn’t asking for detailed information about costs before writing big checks to contractors and that it was cutting up the same project into different pieces so that it could come in under the $500,000 state-mandated threshold and grant contracts without having to ask permission from that pesky school board. Eastman said she thinks the board should concentrate on finding a new superintendent and wait till after Grier’s March 1 departure to appoint an interim. “I’d like to see a person [new superintendent] in place before the next school year. Dr. Grier started in September so basically the organization that was in place was his predecessor’s organization.” Eastman also said it was important for any new board members to be part of the process, as well as the community. Board President Rhonda Skillern-Jones thinks the board should work quickly in moving along the process for a new superintendent, but not so fast that they don’t get input from all aspects of the community to make sure that person is a good match for HISD and its demands. As for the interim spot, Skillern-Jones said, “I don’t think it’s unanimous around the board that we not appoint one now. We have a superintendent who is out on leave. He has an acting deputy superintendent which is in place [Don Huewitt] I have some trouble with that situation as it exists. We suspect that the superintendent may be out on medical leave for a long period of time. And I have some concern about where responsibility rests in that situation. See here and here for the background. Both Eastman and Skillern-Jones make good points, and I’m not sure myself what the best course of action is. I think it’s all right to keep Huewitt in place to run things, but the chain of command – and of accountability – needs to be established and agreed upon by all. It would also be nice to have a new Superintendent in place well before the start of the 2016 school year, for the reasons Eastman identified. Frankly, the sooner the Board can get the job search going, the better. All interviews from this point forward have been conducted after the Supreme Court ruling on HERO, and I have been asking everyone about their position on it. As noted above, after the interview was concluded, Ms. Skillern-Jones called me to say she would like to add to her answer to my question regarding HERO. She sent me an audio file, which you should be able to listen to here, with her additional remarks. The file itself is here in case there’s any problem with the link above. [HISD] trustees plan to start the process with a vote to revise the district’s policy to state explicitly that names should be non-discriminatory. The revised policy also details how the board can initiate renaming schools. Board president Rhonda Skillern-Jones said this week that after the policy gains approval, she will propose renaming at least six schools named after Confederate leaders or loyalists. In June, state Sen. Rodney Ellis, D-Houston, called on the Houston Independent School District to rename six campuses following the shooting deaths of nine black churchgoers by an alleged white supremacist in Charleston, S.C. Ellis mentioned campuses including Davis, Lee and Reagan high schools and Dowling, Jackson and Johnston middle schools. Alumni have expressed mixed reactions. Renaming is expected to come with a cost – for new logos, school uniforms, marquees. The estimated price tag was $250,000 in 2013 when HISD changed the Confederate-linked Rebels mascot and three others deemed offensive to Native Americans. See here and here for the background. That story was published Thursday morning, before the board meeting, at which Superintendent Terry Grier announced his imminent departure. I didn’t see any followup story, so I’m presuming this went ahead; if not, I’m sure it will be picked up at the next meeting. I’ve said before that I support this. Having a school named after you is a privilege, not a right. I have no idea why anyone would think it controversial to reserve that privilege for people who didn’t take up arms against the United States, but maybe that’s just the Yankee in me talking. I’ve never known a school named for Benedict Arnold, so I don’t know why there should be a school named for Jefferson Davis. The fact that there is such a school here in Houston, and that the board of trustees is seeking to change it isn’t an insult to anyone. The insult is that it was named for Jefferson Davis in the first place.